He was so young, too. The body of a dead sperm whale that washed up on a resort town's shore reveals a sad truth about animals who live in the oceans. An autopsy at a local wildlife rescue center in Cabo de Palos, Spain, revealed that 64 pounds of trash — including plastic bags, fishing nets and ropes — had become lodged inside the whale's digestive tract, ultimately killing the animal. This is far from the first time marine animals have suffered the fatal consequences of garbage produced and discarded by human beings. 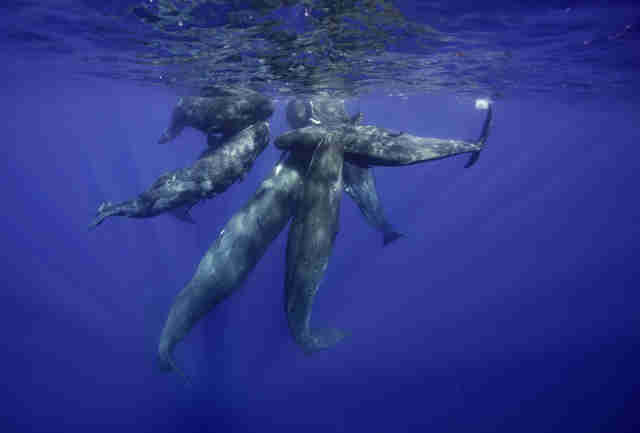 In 2016, a pod of 13 sperm whales was wiped out from ingesting trash. 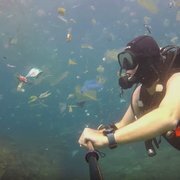 Recent footage shot underwater shows just how polluted certain parts of the oceans really are. About 8 million metric tons of plastic get dumped in the ocean every single year — and it's catching up with us. Soon there could be more plastic in the oceans than fish. Luckily, many countries have decided to take action, restricting the use of plastic bags or banning them altogether in favor of reusable or biodegradable options. And the local leadership in Cabo de Palos has started a campaign to raise awareness about ocean waste. You can help protect whales and other ocean animals by recycling whenever you can. You can also skip getting straws in your drinks and opt for eco-friendly grocery bags.